Posted by Kerri Demski on Wednesday, July 31st, 2013 at 10:41pm. Sorry, folks. The last few months have been busier than what is typical for this time of year. 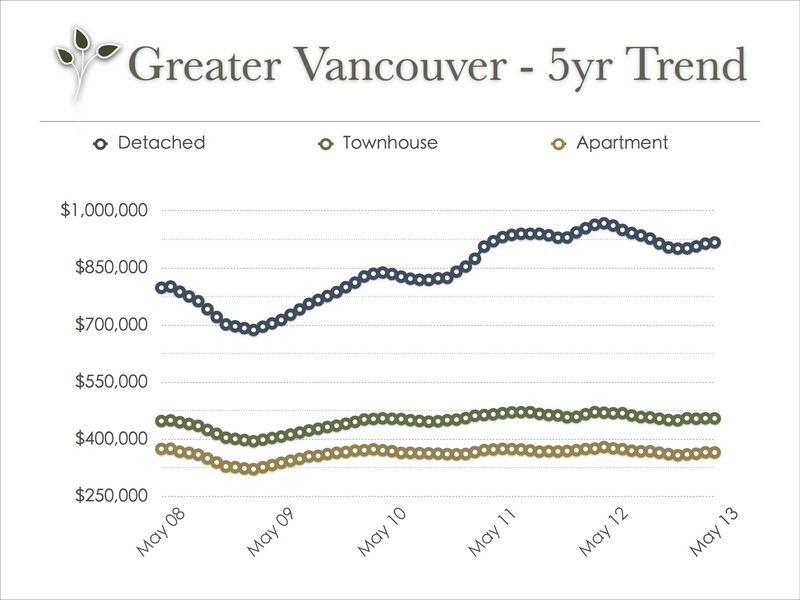 Mainly due to interest rate increase, I would suspect as there has been considerable first time buyer movement in the real estate market. Please bear with us as we try to catch up on our stats...hopefully! 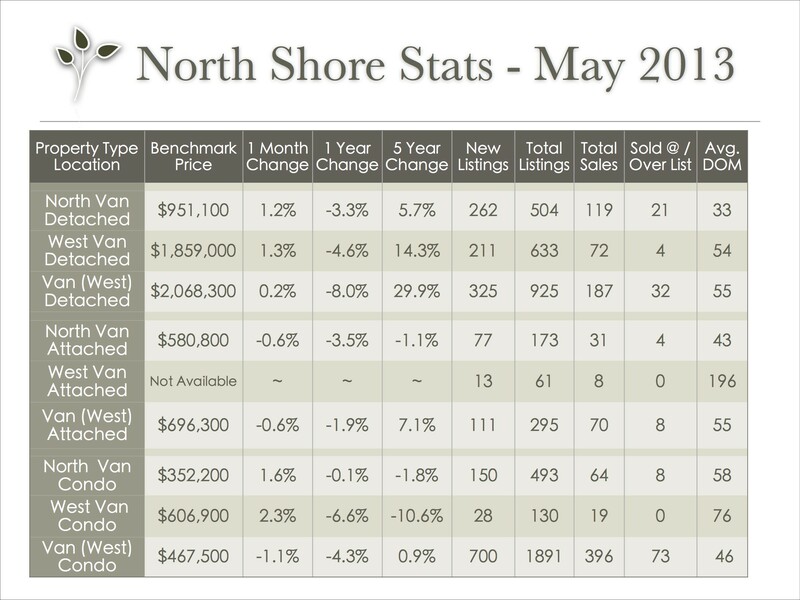 Stats are provided by the Real Estate Board of Greater Vancouver; feel free to view the complete REBGV Stats Package for May, 2013 on their website.